This year school summer vacation started on the actual first day of summer. Massachusetts schools start and end later than the schools in much of the country. This has been a week of adjustment and making plans. For me there’s still the day job, and I haven’t yet had time to settle into a summer routine. I most definitely have a summer plan, however, and as you might guess it includes lots of reading! I thought it would be fun to share my reading list with you. 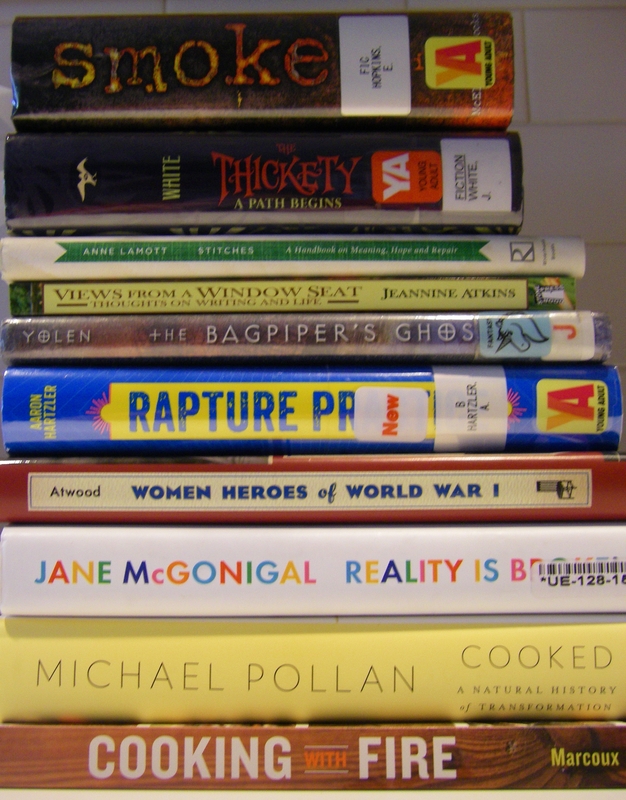 Pictured above is the stack of the fiction and nonfiction I’m planning on delving into this summer. It’s a mix of adult, middle grade, and young adult books. Right now there’s no adult fiction on it, but I’ve been saving Just One Evil Act, the newest Lynley mystery by Elizabeth George, for vacation. What are you reading? Leave a comment with a list or a link if you’d like to share your summer reading plans. I’d love to know what made your list! Under the Egg by Laura Marx Fitzgerald. Phew, We’ll see how I do. Happy Summer!